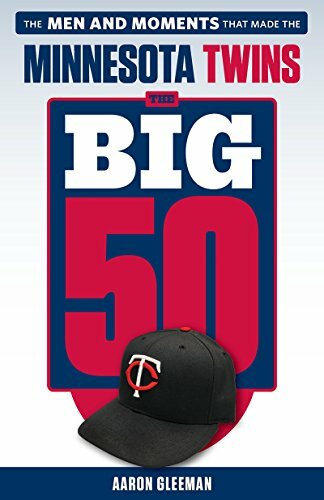 • Joe Mauer continues to have post-concussion symptoms more than a month after suffering a brain injury, so Monday the Twins shut him down for the final week of the season. 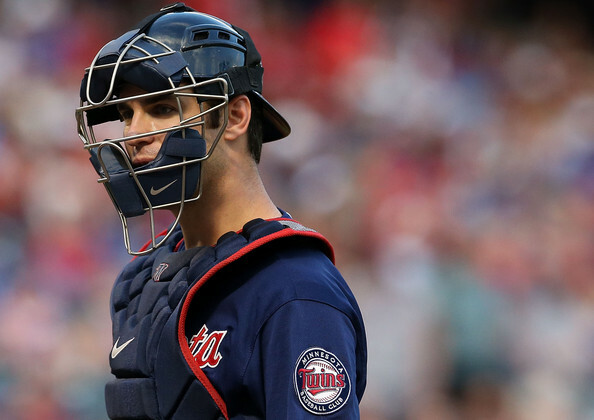 Mauer hasn't played since taking a foul ball off the mask on August 19 and experienced setbacks when he tried to ramp up workouts during the past few weeks, with Phil Miller of the Minneapolis Star Tribune writing that he "still feels sensitivity to light and noises, and has trouble outside confined spaces." Shutting him down is absolutely the correct decision and by the time spring training rolls around Mauer will be six months removed from the concussion, but sadly as the Twins and so many other teams have learned in recent years there are no guarantees with brain injuries. And now, much like with Justin Morneau and Denard Span, the only thing the Twins can really do is wait and hold their breath hoping that time and rest do the trick. In making Monday's announcement both Mauer and general manager Terry Ryan stressed that they expect him to remain at catcher next season, but whereas that seemed like a questionable stance at the time of the concussion last month it now seems borderline crazy to me. I've spent a decade writing about how much of Mauer's value comes from catching and have always argued against a position switch, but the question has changed and the old answers cease to apply. There's no way to stop a catcher from taking foul balls off the mask on a regular basis, along with all the other physical dangers that come with the position, and if he were to suffer another brain injury it might be too late to avoid major long-term consequences on and off the field. As a first baseman Mauer's odds of remaining an elite player into his mid-30s are much lower, but he'd still provide plenty of value there and Josmil Pinto is a potential replacement with upside. • There seems to be considerable disagreement within the organization about how much focus to put on acquiring pitching via free agency. Nick Nelson of Twins Daily wrote a breakdown of the situation, with the short version being that Ron Gardenhire is basically begging for rotation help and owner Jim Pohlad says he's willing to spend big for reinforcements, all while Ryan downplays free agency much like he did last winter before settling for Kevin Correia and Mike Pelfrey. Every team would love to build a rotation full of young, cheap pitchers and for many years the Twins did that well enough to avoid having to swim into the deep end of the free agency pool. And generally speaking free agent pitching is typically overpriced and requires making risky long-term commitments to players on the wrong side of 30. However, their current lack of MLB-ready arms with more than back-of-the-rotation upside makes Ryan's usual approach a tough one to pull off. Despite his rookie struggles Kyle Gibson still has a chance to develop into more than a fourth or fifth starter and Alex Meyer remains a potential top-of-the-rotation starter if he can stay healthy, but neither can be counted on to make a huge 2014 impact and even if they do surrounding them with the likes of Correia, Scott Diamond, Vance Worley, and Samuel Deduno is going to leave the rotation well short of decent. Last season Twins starters had the second-worst ERA in baseball at 5.40 and this season Twins starters have the worst ERA in baseball at 5.26. Based on those numbers and the in-house options who can realistically be rotation members in 2014 there's little chance of building even an average rotation without bringing in outside help. Ryan would surely prefer trades to free agency, but my fear is that his real plan involves a third straight season with a terrible rotation on the cheap. • One of my frequent complaints about Gardenhire is his unwillingness to platoon hitters, which he's basically never done. Most prominently Jacque Jones and Jason Kubel played no matter the pitcher, but versus lefties Jones hit .231/.286/.355 and Kubel hit .239/.313/.365. For a more recent example on the other side of the plate, Trevor Plouffe plays no matter the pitcher despite hitting .223/.280/.381 off righties. And there are no shortage of maddening day-to-day examples. I don't recall ever having a platoon. I'm not against it. I'll tell you that. I wouldn't have a problem having a platoon if it fits. If it makes sense numbers-wise and it works, then you go with it. I don't think he likes to platoon players at all. I don't either. Put guys out there that are everyday players, then you don't have to platoon. You're always looking for players that can play 162 games, right? That's what I'm looking for. I don't go out looking for platoon players. Obviously every team would love to find nine everyday players and trot them out there 162 times, but that's an impossible goal and instead leads to so-called "everyday players" like Jones, Kubel, and Plouffe flailing away against same-sided pitchers they have no business facing. Over the past three seasons the Twins have scored the fewest runs in the league, making "I don't go out looking for platoon players" sound awfully tone deaf coming from the GM. It's nothing new, though. • Mauer hasn't played since August 19, but according to Win Above Replacement and Fan Graphs' valuation system he's still been worth more than his salary this season. • This year the Twins have been out-scored by 158 runs, which is the second-worst run differential in baseball. The worst run differential in Twins history belongs to the 1995 team at -186. • Since taking over for Matt Capps as Twins closer Glen Perkins has converted 90 percent of his save chances (52-for-58) with a 2.31 ERA. • LaTroy Hawkins left the Twins for a two-year, $8 million deal with the Cubs as a 31-year-old free agent and a decade later he's still rolling along. • Francisco Liriano is lined up to start the Wild Card playoff game for the Pirates. 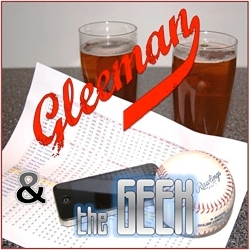 • For a lot more about Mauer's future and the Twins' roster options for next season check out this week's "Gleeman and The Geek" episode. Earl Weaver always had a platoon or two going on. It’s a lot easier finding 6-7 everyday players than it is to find 9. That’s just common sense. They tend to be cheaper as well. It’s almost as if they would rather prove a point than put together a better team on the cheap. In a small market especially, it’s a very strange position to take. You would think someone would have come up with a catcher’s mask that had some sort of spring-loaded shock absorbing outer frame/mask; you know something that could flex about 1/2″ or so, with the springs “strength” optimized to absorb impacts of 70-100 MPH. Hell, maybe a little memory foam padding to cusion the blow too. We need to make this happen. Best analysis I’ve seen yet of the Twins’ failures. I’ve changed my mind: Gardenhire needs to go based on his refusal to platoon alone. Sure, but what are the odds that Ryan brings in someone who DOES want to platoon, considering his own take on the subject? I know a couple of guys that work at Target Field and the rumor there is that Gardy is going to retire after the season citing health reasons.